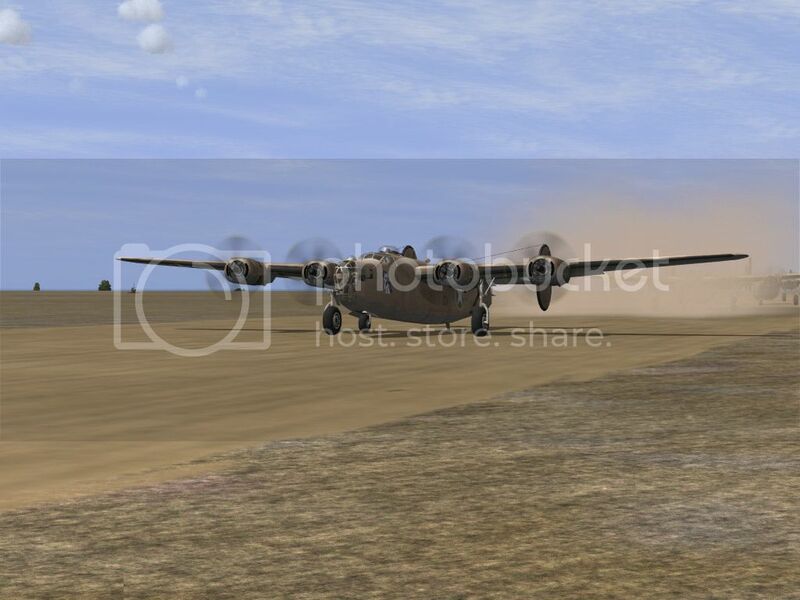 25 missions static campaign for heavy bomber pilot in Mediterranean area. Take part in the 514th Bomb Squadron of the 15th Air Force and try to survive your 25 missions duty. 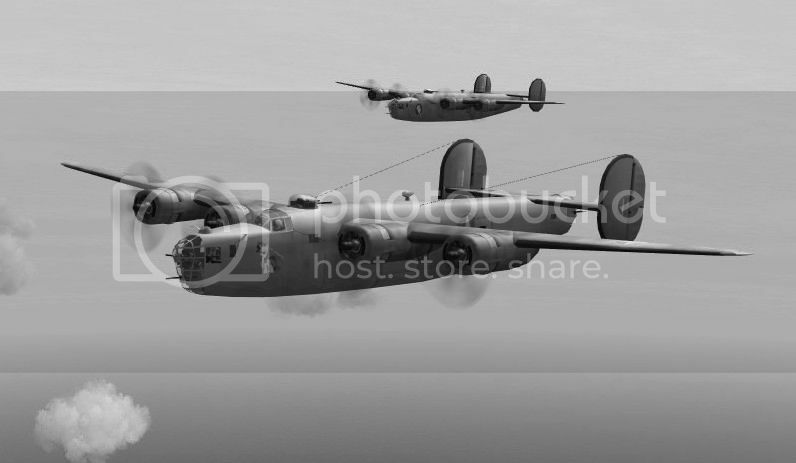 It's 1943 and your squadron recieved the most modern US heavy bombers, B-24 Liberators. The USAAF campaign is mainly for heavy bombers fans, so get ready for long flights, flak defence and sometimes enemy fighters. Note some missions would be boring, but it's a part of bomber crew life, right? Various targets are waiting for you, like as harbor facilities, factories or airbases in Italy, Greece and Balkans. Please see the Readme to get some more information about this campaign. Campaign was tested on DBW 1.7. I'm not sure if it works properly on HSFX, CUP and other game mods. Added stronger flak defence and enemy fighters to get campaign to be more exciting. Thanks Jirpilot! Probably this is first campaign for new B-24. Your work is very interesting. I note idea with recon photos, very nice! Just one question, can you give a link for map, used in campaign, i do not have it in my HSFX, but i want to try "Desert Liberators". That's War Over Italy map, available in stock DBW 1.7. Original thread is probably this one http://www.sas1946.com/main/index.php/topic,16466.0.html but unfortunately there's no link for download. Problem: When i try launch the first mission, a message appears: "B-24 D doesn't have cockpit. Unable to fly it". Does anyone have a solution? Thanks in advance. Salud. Thanks for your answer, Kevin, but doesn't work for me. Some mod must be the problem. I'll keep looking for the solution. Or the problem. Great work! minor problem with message missing objects,during mission loads works with CUP. The best Bomber Campagne I have ever flown ! Fortress from Desert the same. PS. The B24 D-140-CO from Epervier and patch from Spitwulf very important !!!!! !